Rich, chewy, fudgy, and loaded with chocolate; these basic brownies are the simplest ever! 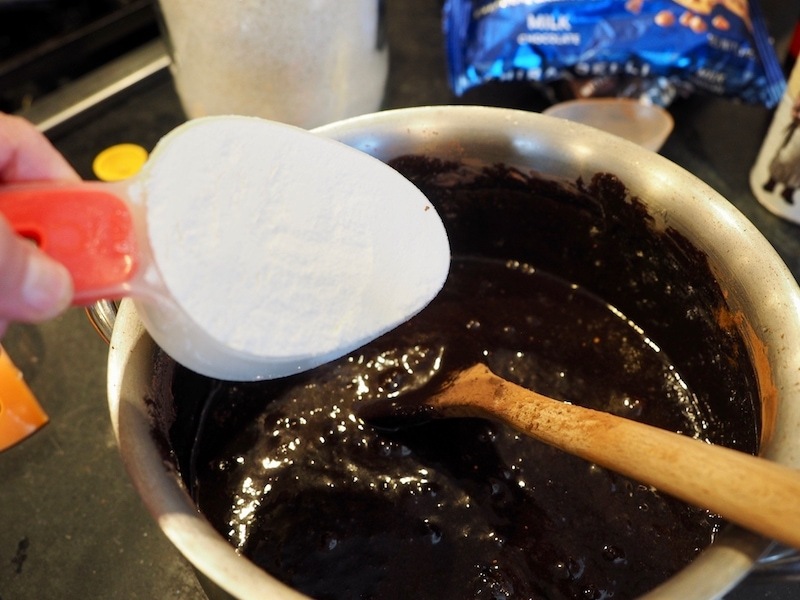 One pot, no melting chocolate and a few simple ingredients is all you need before you have the inviting aroma of freshly baked brownies beckoning all. No messing around today, I just need to get right down to it and give you this simple, amazing recipe! Starting by gathering your ingredients. Prepare your 9×13 inch pan. I like to spray it lightly with oil, then line with parchment paper, squaring it up as much as possible and spray lightly again. Makes for super easy removal from the pan and easy clean-up! WIN-WIN! Plop your butter into a medium sauce pan and melt over medium-low heat. 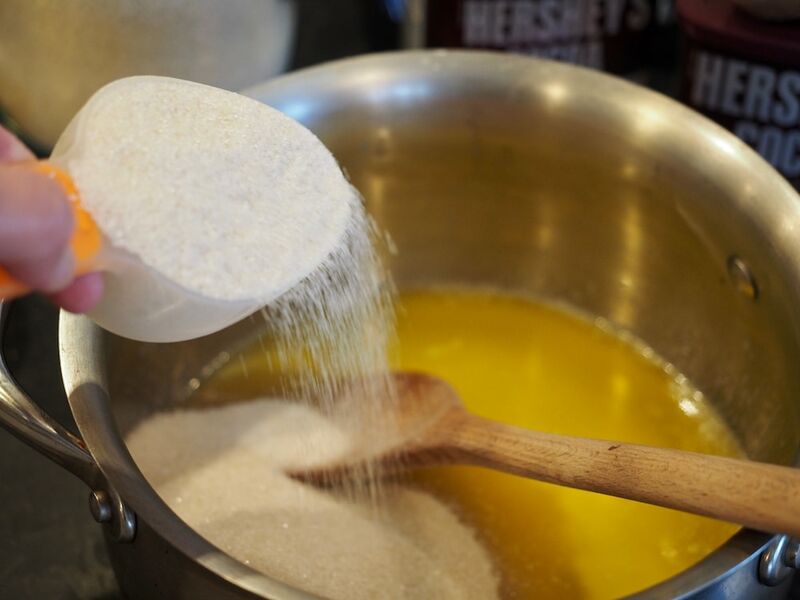 While your butter is melting, measure out the rest of your ingredients; crack your eggs into a small bowl, measure out your sugar and flour. The recipe will go much quicker, if you have everything ready to go. Once butter is melted, remove from heat and allow to cool for 5 minutes on counter. 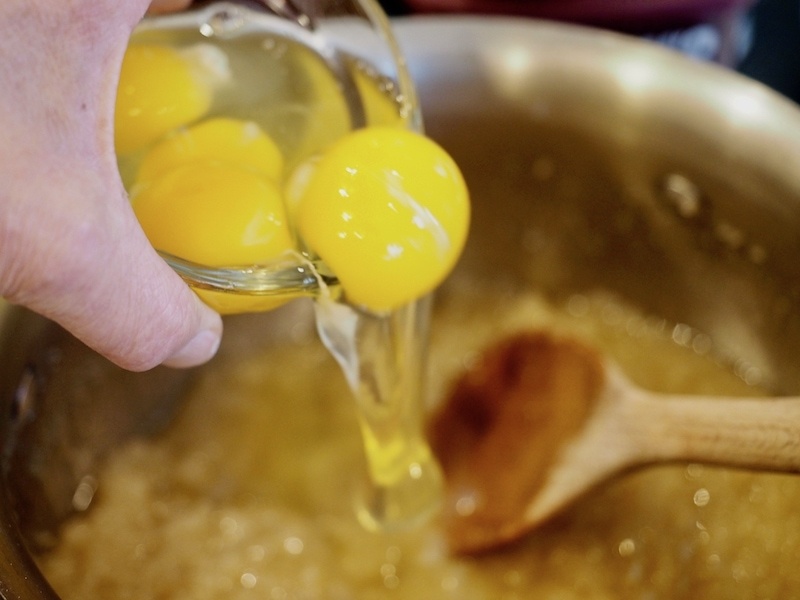 Next, stir in eggs, one at a time just until incorporated. 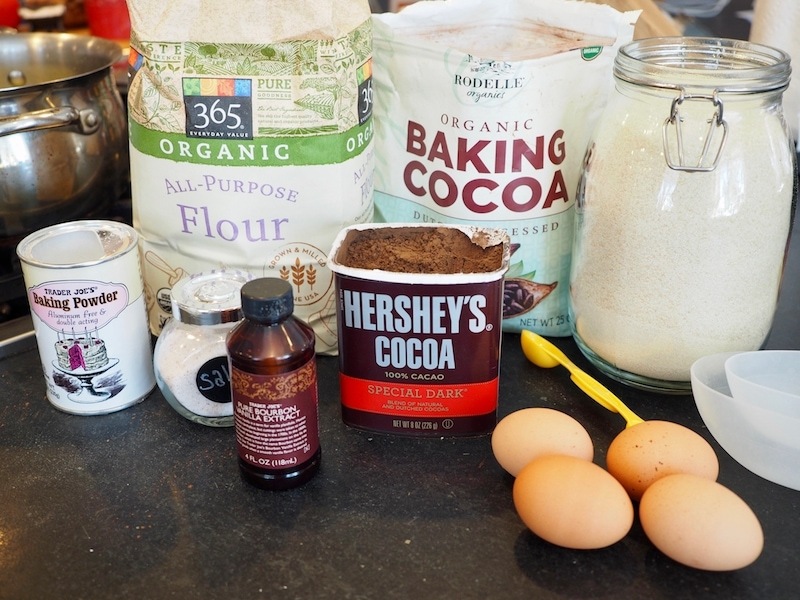 Now stir in your cocoa powder (I go back and forth, for this batch I used 1/3 cup regular cocoa powder and 1/3 cup dark cocoa powder, any variation is perfectly fine). and while you are at it, toss in your baking powder and salt. 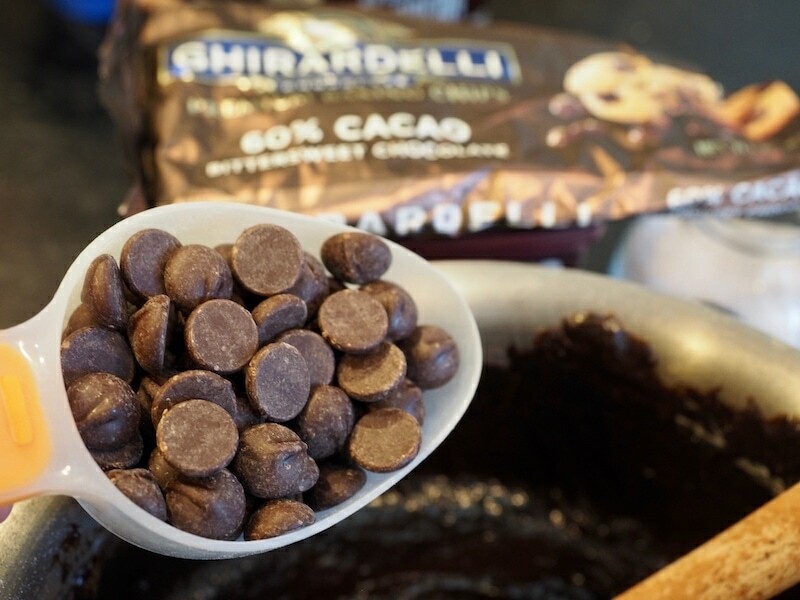 Now for the good stuff, add in your mix-ins, for basic brownies add 1 cup chocolate chips of your choice. I used 1/2 cup [amazon_textlink asin=’B00KQ137FI’ text=’60% Cacao Bittersweet Chips’ template=’ProductLink’ store=’hefreshcoo0a-20′ marketplace=’US’ link_id=’43f9ec0d-2d3c-11e8-a1a1-8dc048a36c43′] and 1/2 cup Milk Chocolate Chips. Again it’s your pleasure! and here are the [amazon_textlink asin=’B0199C4CLW’ text=’milk chocolate chips’ template=’ProductLink’ store=’hefreshcoo0a-20′ marketplace=’US’ link_id=’235ceba4-2d3c-11e8-86a1-19ab5c606205′], can you see too many pictures of chocolate? 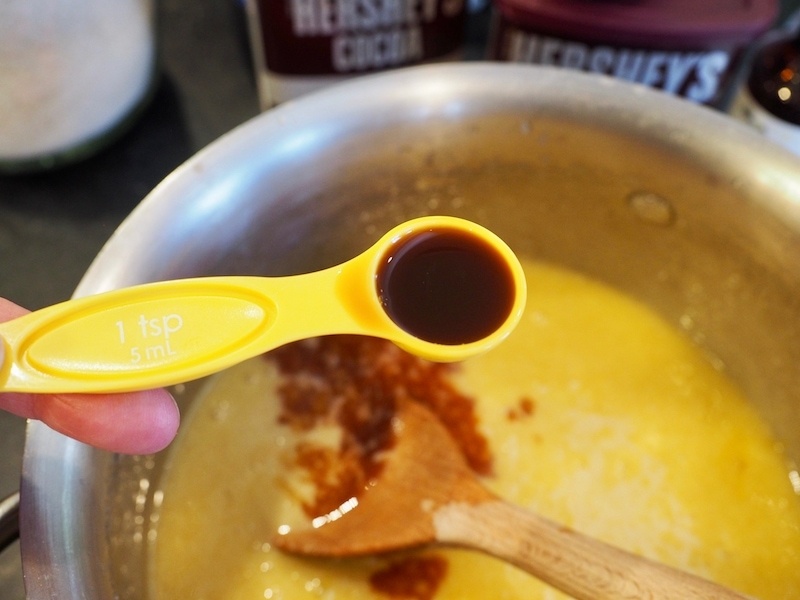 “Pour” batter into prepared pan, it will be thick! Bake at 350° for 25-30 minutes. Careful you don’t overbake them! 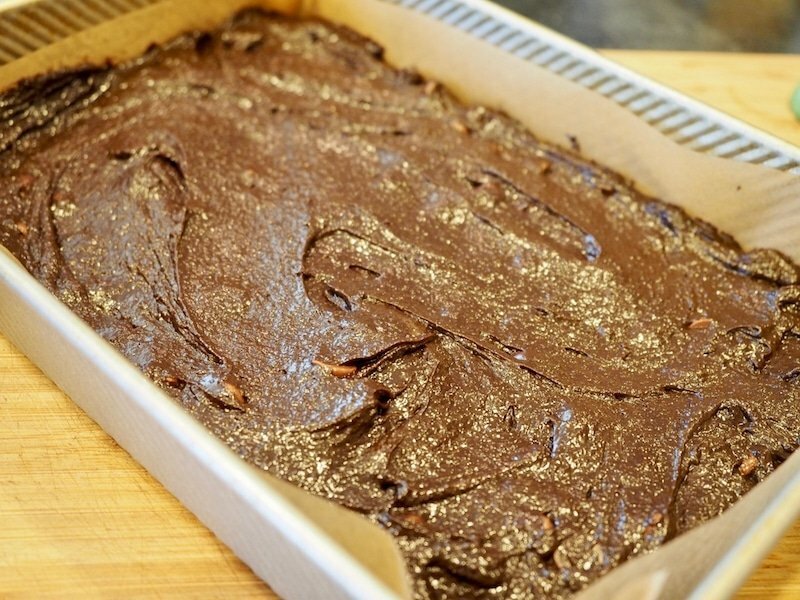 Brownies will set as they cool. The edges should just start pulling away from the sides and the top should have a dull finish to it. 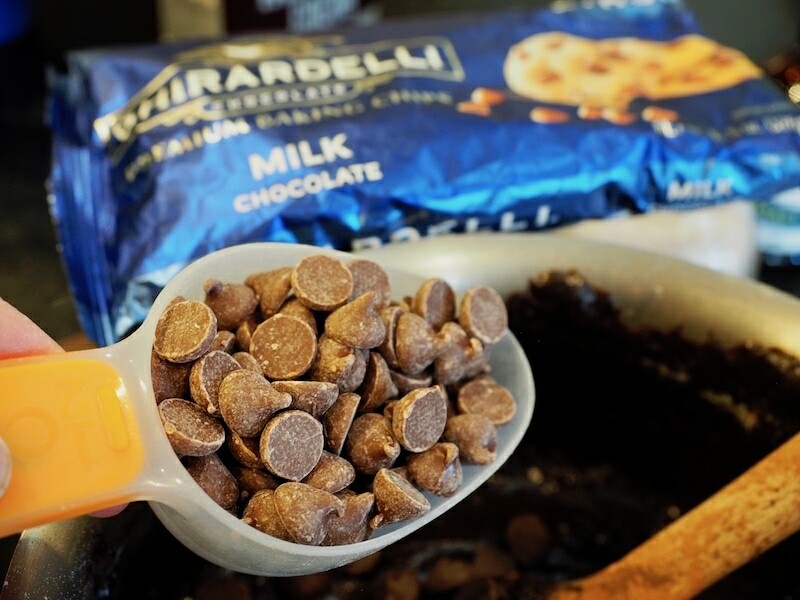 TIP | Need to make lots o’ brownies?? Once cooled completely, using parchment lift out of pan, wrap in plastic wrap well and freeze until ready to use. To slice or frost, remove from freezer 20-30 minutes, making cutting simple. See below for an optional frosting. 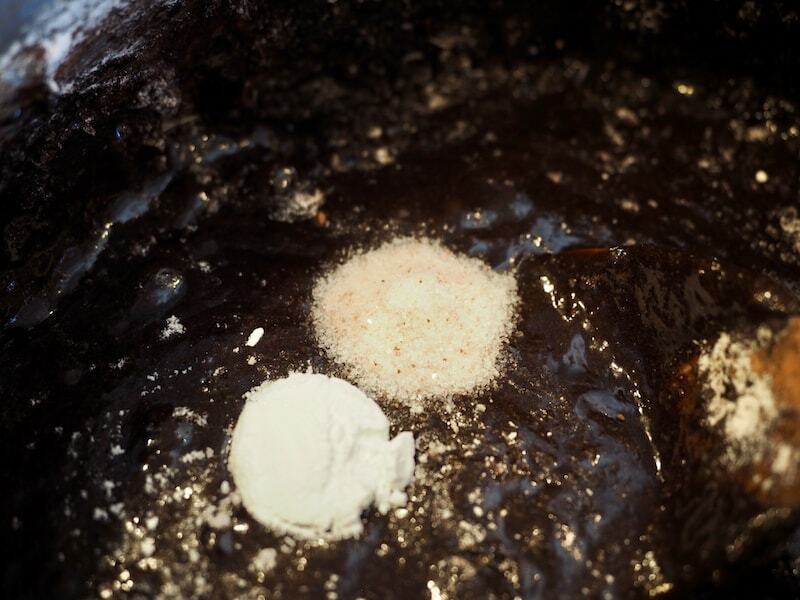 But there’s nothing wrong with the simplistic & classic dusting of powdered sugar! Cut into squares as large or small as you like. This frosting is actually for a Texas Sheet Cake, but I’ve reduced and adapted it slightly for brownies, just like those delectable brownies from the school cafeteria growing up. In a small saucepan, melt butter. Add cocoa powder and stir to combine. Don’t forget your pinch of salt. 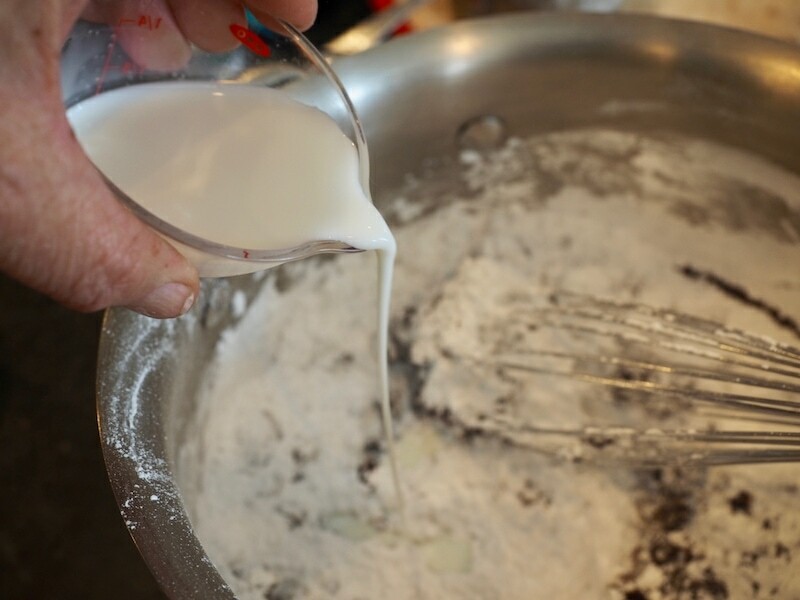 Whisk until glossy and all ingredients incorporated. Pour over the top of the brownies (still warm or completely cooled; either is fine) cool completely prior to slicing. 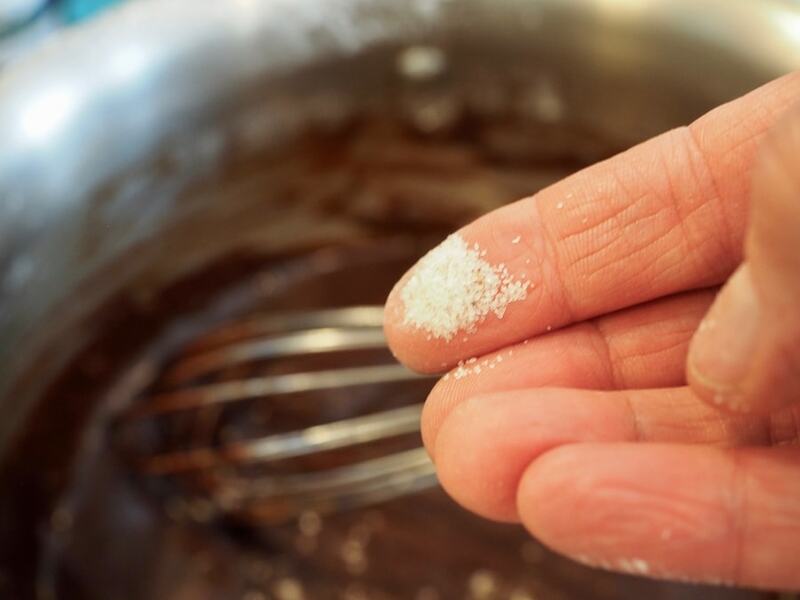 Spread frosting evenly over tops of brownies. Cool completely prior to cutting. TIP | I find it helpful to refrigerate brownies or freeze for 20 minutes or so once completely cooled in order to cut brownies easier. 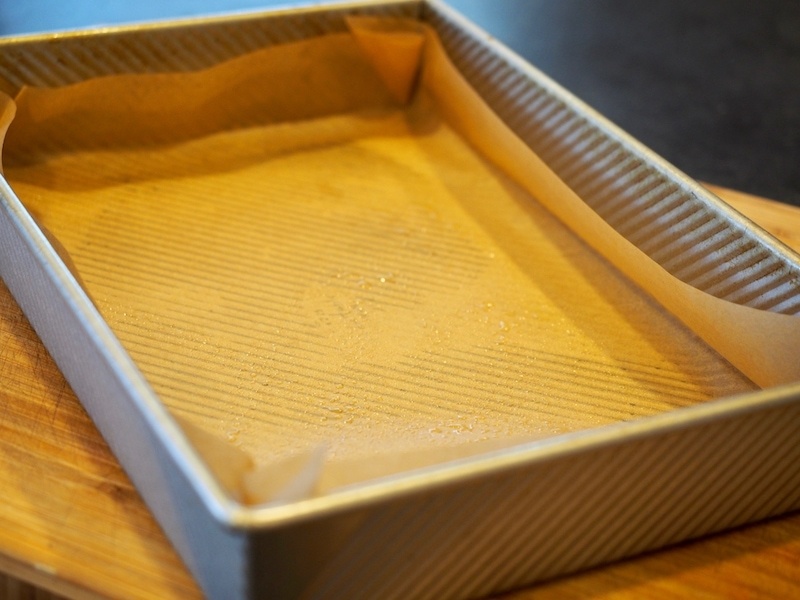 Lift out of pan using parchment paper and place on large cutting board, cut to desired size. Seriously! They transport you right back to the 4th grade don’t they! Go ahead and PIN it, nobody’s looking! 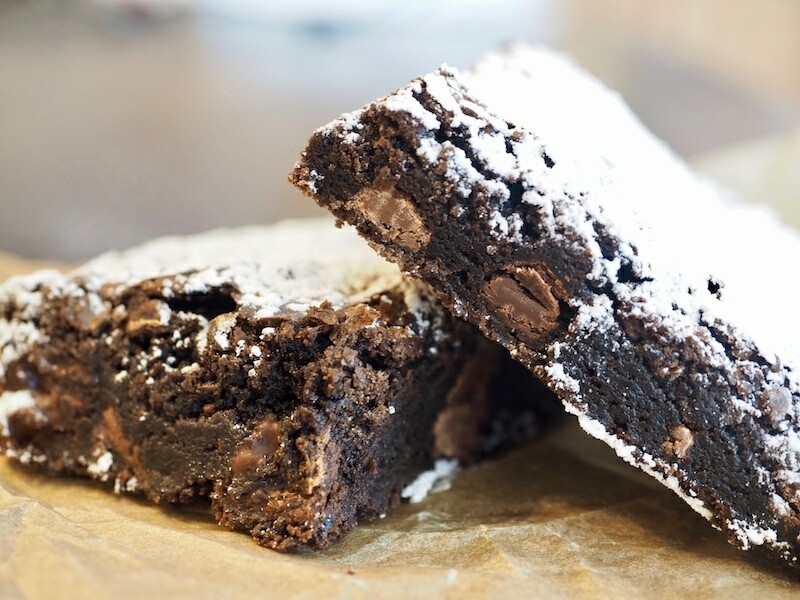 Try these other brownie options; all great variations using this same basic recipe! Rich, chewy, fudgy, and loaded with chocolate; these basic brownies are the simplest ever! 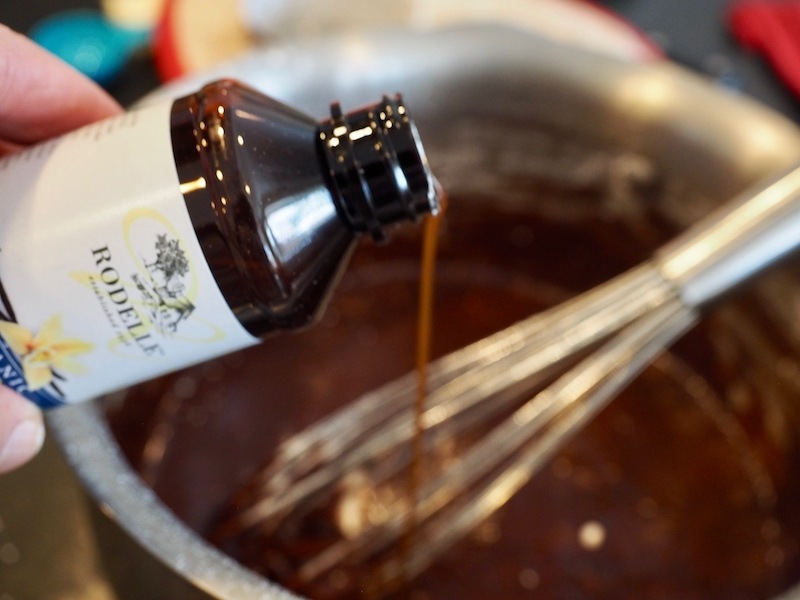 One pot and a few simple ingredients is all you need before you have the inviting aroma of brownies freshly baking in your oven! Pour into prepared pan and bake for 25-30 minutes. 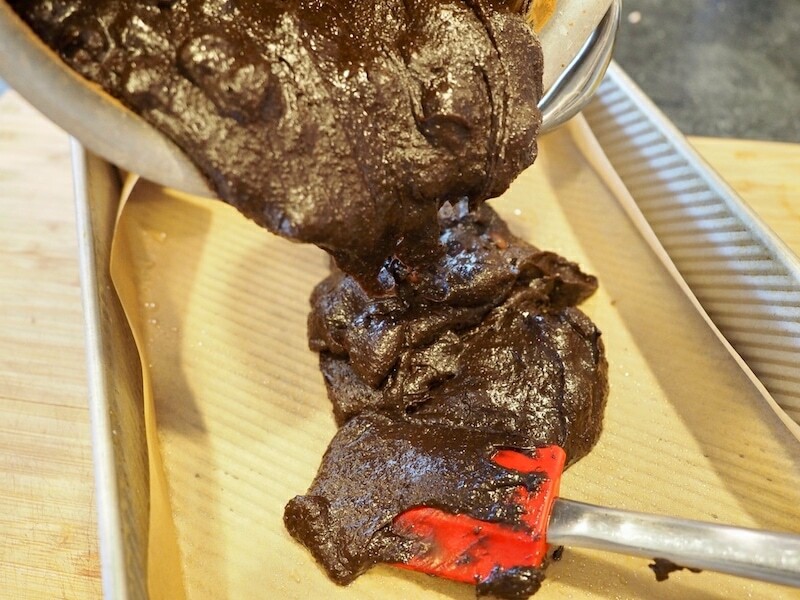 DO NOT OVERBAKE. 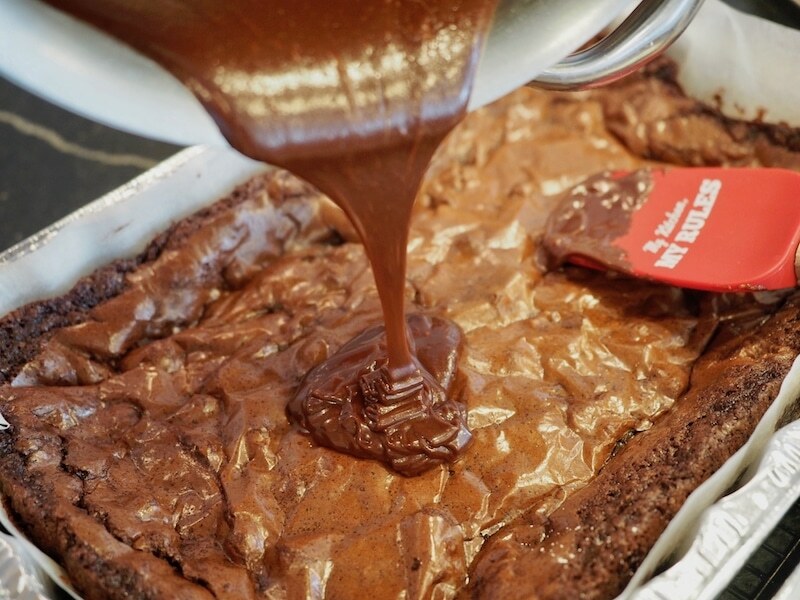 Brownies will settle as they cool. 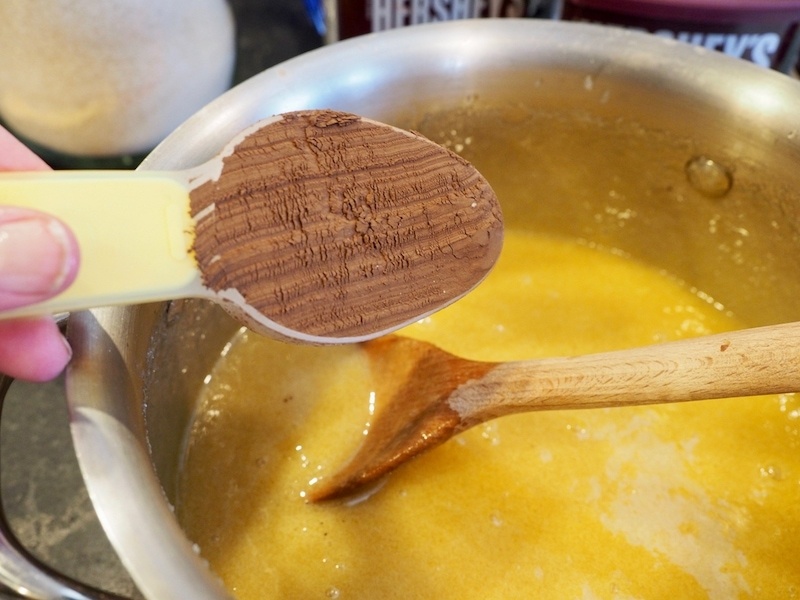 Edges should just start pulling away from sides of pan and the center should no longer be glossy. Cool completely in pan on cooling rack. Once cooled, I find it easiest to freeze (up to several weeks if properly wrapped) and then take out of freezer for 20 minutes then cut brownies, they are a bit easier to handle when slightly frozen. 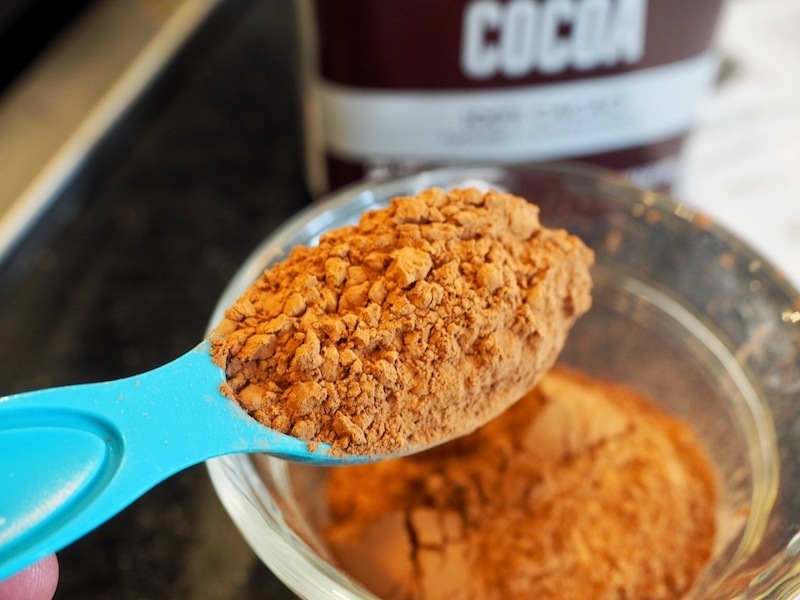 Stir in cocoa powder, then remove from heat. 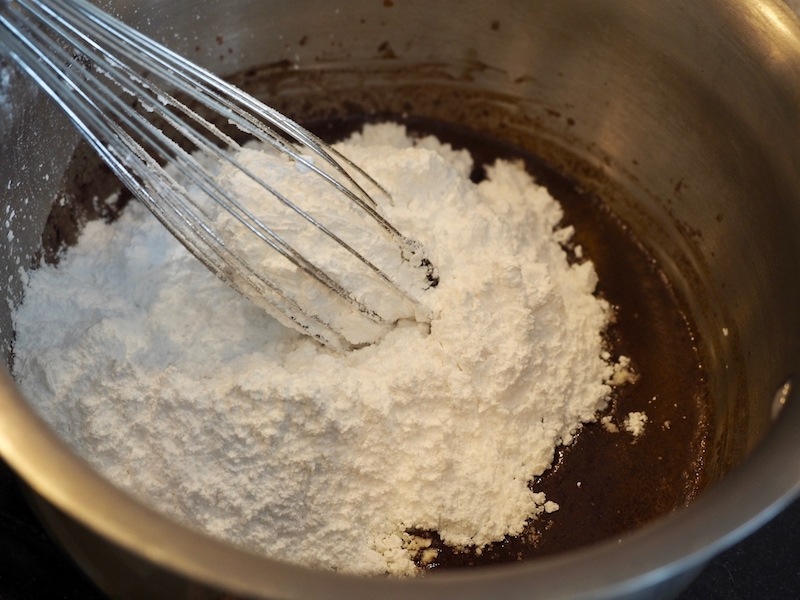 Whisk in powdered sugar, milk, vanilla and pinch of salt. 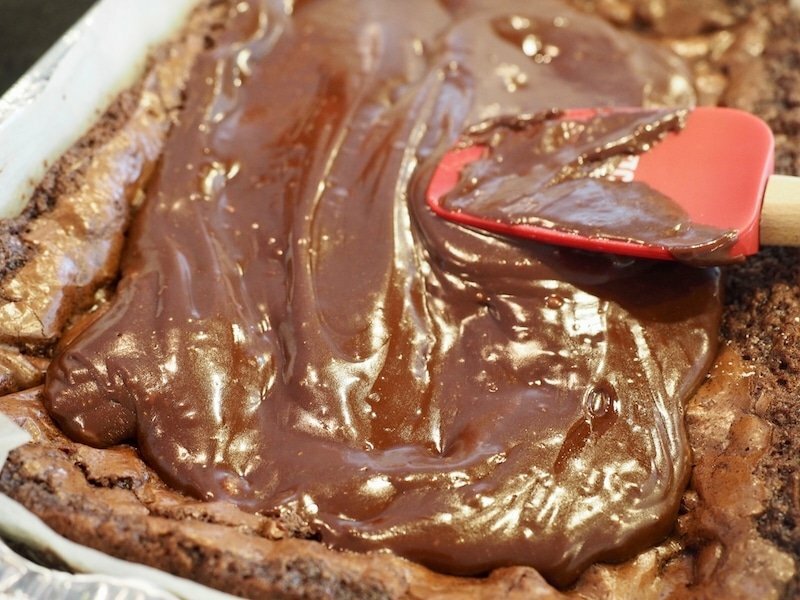 Once smooth, pour over warm or cooled brownies and let cool completely. I find it easier to refrigerate or freeze for 20-30 minutes before cutting so the frosting cuts smoothly. Store in airtight container in refrigerator for 1 week or freeze individual squares for lunch box or quick snacks. 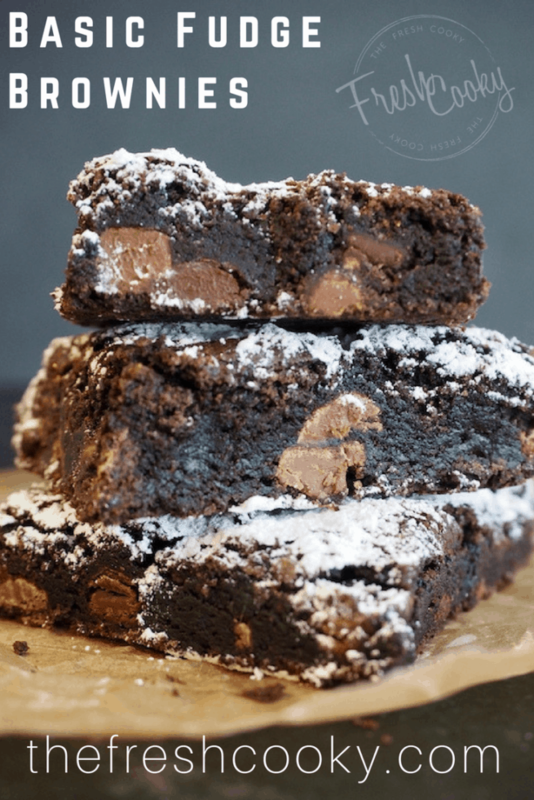 IF YOU LOVED THIS RECIPE: You might also enjoy Espresso Brownie Bites, Andes Mint Brownies and Robin Egg Whopper Brownies. View all of my Sweet recipes here. 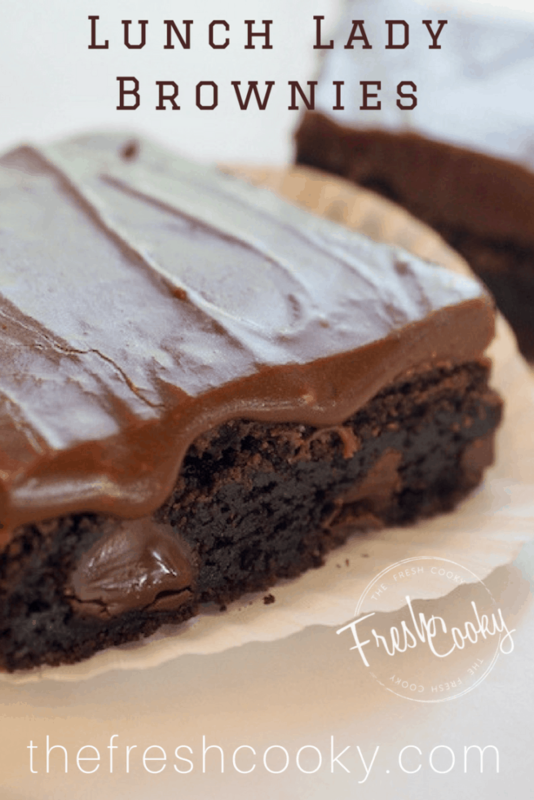 © 2018 | This recipe for Basic Fudge Brownies was featured first on The Fresh Cooky.